The old adage “it takes a village” would be an appropriate description to chronicle the volume of work, effort, planning and personnel needed for Michelin Motorsport to pull off its largest event in its history at Sebring International Raceway just over a week ago. Luckily, between Michelin’s staff and Jackson Motorsports’ support and operations personnel, they succeeded in the task at hand. The event was such a massive undertaking because not only would Jackson have to support Michelin’s IMSA race operations, which for the first time in 2019 featured all three of Michelin’s IMSA series racing on the same weekend, it would also have to account and prepare for the FIA World Endurance Championship, another of Michelin’s five global motorsport race series, that was competing alongside IMSA during the weekend. The event was dubbed “SuperSebring” by the track, and the footprint Michelin had on-site more than lived up to the billing. 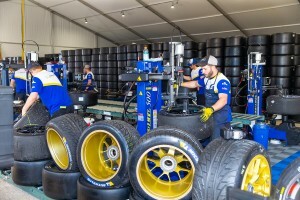 Sebring and IMSA coordinated on the paddock logistics layout to ensure Michelin had enough space to house 16,000 tires, 5,800 of which were wet weather tires, to cover the 137 cars in four race series that would race with Michelin during the race week. The space itself was a 27,000-square-foot footprint, with a 24,000-square-foot tent that served as the Michelin workshop and drew rave reviews from the paddock during the weekend. Beyond the tent, the additional 3,000 feet served as a parking spot for Michelin and Jackson’s trackside operations support trailers to park. Official on-track sessions began Wednesday, March 13, and ran deep into the night each of the next four days through the conclusion of the Mobil 1 Twelve Hours of Sebring race, Saturday, March 16. 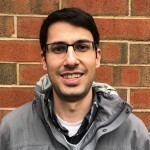 This meant that, as teams ran through their allocated sets of tires, the crews would have the dismounting process to do after the sessions as well, then move used tires out of the workshop into trucks. This was an exhausting process but one that the crew was more than ready to take on. The workshop remained a hub of activity during nearly all on-track sessions, with work continuing well past the checkered flag in each session. The workshop served as Michelin’s race tire hub, but it was far from Michelin’s only point of contact during the weekend. Michelin set up its Michelin Village on the outside of the front straight, just past the Turn 17 exit and Michelin bridge, as its consumer activation area. There, race fans had the opportunity to learn about Michelin’s consumer tire product line and see a handful of street cars where Michelin is the O.E. partner. These brands included Cadillac, Ford, BMW, Porsche and Lexus, all of whom race in IMSA’s flagship series, the IMSA WeatherTech SportsCar Championship. One of the ways Michelin and IMSA are working together this year is with Michelin‘s premier of the “50 for 50” sweepstakes to give away 50 sets of MICHELIN® tires to fans throughout the IMSA season and to commemorate and celebrate IMSA’s 50th anniversary season. Fans could sign up at the consumer activation area or by the workshop at another of the new initiatives. So how do you summarize this “it takes a village” mantra? You look at the numbers and breakdown. And lastly, you compare it year-on-year. In 2018, with Michelin able to compete in just one IMSA class, there were five automotive brands and nine cars racing with Michelin at Sebring with approximately 1,500 tires. In 2019, those numbers grew to 11 total classes between IMSA and the FIA WEC, 20 automotive brands, 137 cars, and those 16,000 tires. This quantum leap in order of magnitude made the “SuperSebring” moniker an appropriate one for Michelin and the Jackson team.